As a lecturer in game design I see and play a lot of student games. These are often the first games these students have ever made. I have seen some really talented students develop their first games and I’ve noticed a few recurring mistakes in some of their early work (even the really talented ones). Obviously everyone’s first few games are awful, mine own included (see: The Adventures of Turquoise Macdonald), but I believe that with a little sprinkle of polish over some of these areas, student games can overcome these common mistakes and their games could evolve from awful to almost-good. Every year I teach students how to make games and inevitable I am asked the question “how do I add a menu” or “how do I add pause functionality to the game”. It is clear that students begin their journey with primarily mainstream references for what a video game should be. I try to break these pre-defined ideas of video games and show students examples of games beyond the mainstream. Some of my favourite games in recent times have been experimental, quirky games made for game jams and, primarily due to time constraints, these games rarely need a pause menu or even a front end menu. They are not 40+ hour campaigns with the ability to tweak the graphic settings and offer 4k support. They are short, sweet experiences that focus on gameplay and design and there is absolutely nothing wrong with that. There is a time and a place for adding menus and pause functionality to a game, but your first experimental prototypes are neither. As we learn to make games, it’s easy to place the sound effects and music for the game to the back of the to-do list. Particularly if you have no experience of producing music or know where to find music for your game. Many students however, seem to forget that music and sound even exist and leave it out of their game completely. Just a few basic sound effects can add some much-needed juice to your early games. Sound effects are an easy way we can give feedback to the player. The more feedback you can give the player through sounds, animations and screenshake, the more they will feel like they are making an impact on your game world. For sound effects beyond blips and beeps, I usually turn to freesound.org. You need an account to download sound effects, but it’s free and once you’re signed in you can download any sounds you need. In the past I’ve grabbed “door opening”, “elevator bing” and “buzzer press” sound effects from there and they’ve worked just fine in simple prototypes. For music, I tend to use Newgrounds as there’s a wide mix of audio on there and again, it’s free to download. Just be sure to credit the author for their work. When making a game, you are going to be playing that game A LOT. You’ll make tweaks and test it instantly and you’ll have longer play sessions where you’re just getting a general vibe for the game. Naturally, towards the end of your development cycle you are going to be the BEST person in the world at your game. You know it inside out and you’ve played it more that anyone else, so don’t be too surprised when you pass the game to someone new and they keep dying, get frustrated and start to complain that your game is too hard. This is where playtesting early and often comes in handy. Get people who don’t know your game and haven’t played it to try it out and offer feedback on difficulty and gameplay. If they are struggling, then you may need to make some changes. Tutorials are a contentious subject. Most of us dislike tutorials, but they are necessary for players to get to grips with the game. Again, play testing is key here. Get players who are unfamiliar with your game to play it from start to finish and this next bit is important — YOU CAN’T TELL THEM WHAT TO DO. It will be hard for you. You will want to interject and say “oh you just need to click here” or “you can actually exit the screen here to another location”, but you have to keep quiet. If the player simply cannot finish your game without your input then you have failed as a designer and you need to make some changes. Imagine that you publish your game and upload it to the internet somewhere and someone over in another country downloads your game to play it. There’s no way you are going to be able to turn up behind them to give them instructions on how to play (it would be very creepy if you did). Players need to know what to do without the designer telling them and the best way to do that is a tutorial, which eases the player into the different mechanics of the game, one at a time. There are a number of ways to do this (I’ll probably save that for another post), so make sure a tutorial is included in your game in some form. This one comes back to predefined ideas of what a game is based on playing games that have been made teams of 10+ to 100 people over the course of a year or longer. 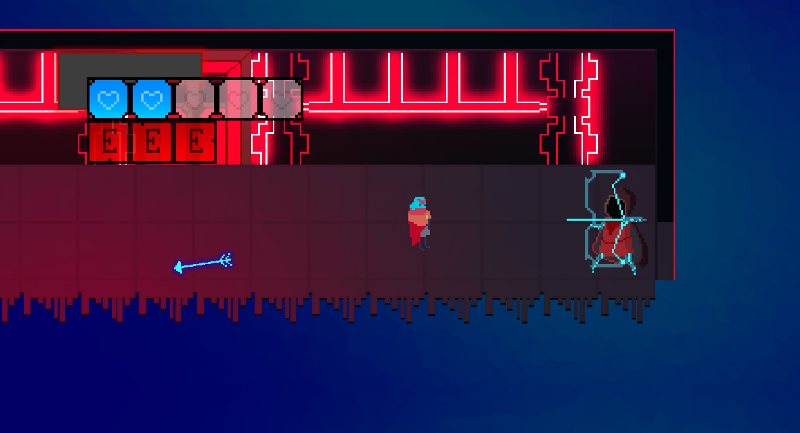 You are making a game on your own in just a few weeks, so maybe having a JRPG style game with a turn-based combat system and an epic storyline with multiple locations, enemies and boss fights is aiming a tad too high. They way to approach this is to have a scalable design to your game. This means getting your game complete from start to finish as early as possible by defining what features are absolutely vital and then building on that over time. Jetpack Joyride could be a good example of this. Chances are the game started as a player that moved up and down and you had to avoid obstacles and see how far you could get travelling faster the longer you play. This concept is a good start for a finished game, however once developed, we can build on this idea by adding additional features and content. Perhaps the next version included different vehicles you could use, then the next version added coins and a store to buy upgrades, then the next one added more obstacle types, then the next one added a level up system and so and so forth. In the JRPG example mentioned earlier. Maybe start with a character that can move around in an environment and interact with other characters. This would be a good start for a narrative game. You can then build on this premise by adding combat, then adding quests, then adding additional areas, etc.